A great method to create a quick and simple cone shape from a cake box. Not forgetting to prepare the cone to take on those Profiteroles! Paul prepares the cream to go into the Profiteroles, suggesting some additional (optional) flavouring along the way. 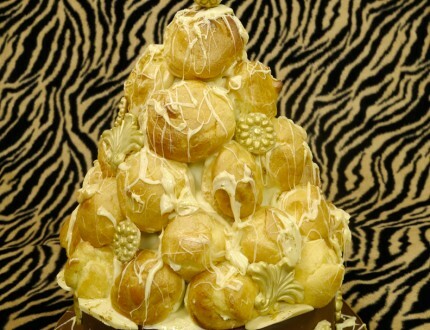 We also look at using white chocolate instead of isomalt to stack the Profiteroles. Using fresh cream with other alternatives explained he fills the profiteroles giving them traditional look that makes you just want to pinch one when he’s out of sight. It’s time to begin stacking and there’s a bit of an art to getting the most out of all your Profiteroles…even if David has pinched one! This is the trickiest part of the course. You have to remove the cone whilst trying to keep your pyramid in shape. You may need to call in reinforcements for this part. 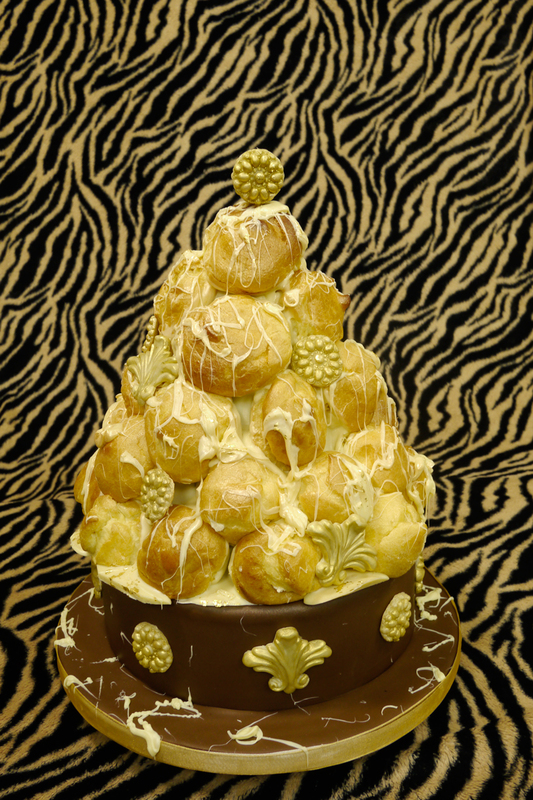 As always, we finish up with a lesson to add those final touches that will really make your Profiterole pyramid stand out from the rest. Paul adds a bit of bling while being cautious not to over do anything. Paul talks through some other methods to create your pyramid tower, different chocolate and different bling. This is a cake that can be made for a plethora of different occasions, which Paul expands on in this lesson. 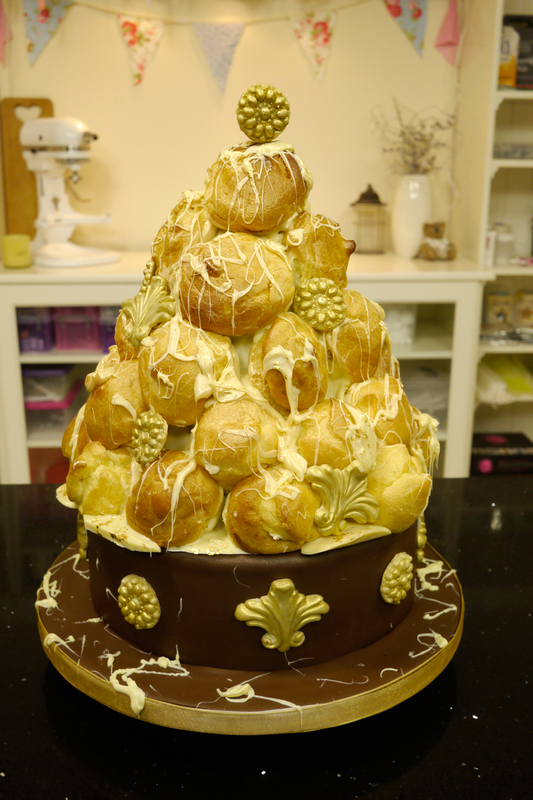 Paul was making a Profiterole Pyramid for his Christmas dessert. 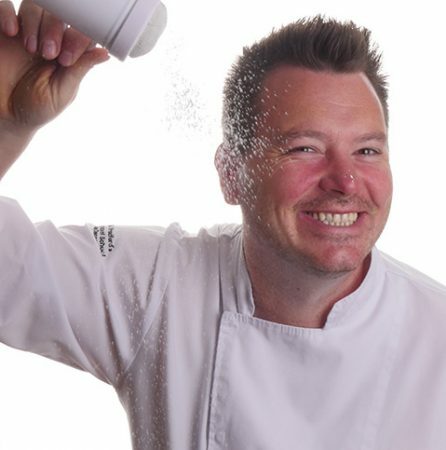 (Quickly)Following a lot of great feedback (and a fare few requests) Paul created the cake to camera for a course. 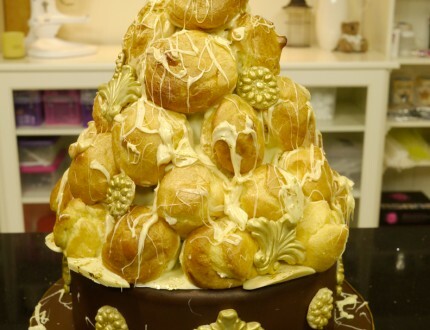 The Profiterole pyramid can be made a number of ways, but in this course you’ll learn how to make it using Paul's tried and tested methods.